Ferrari needs absolutely no introduction in the world of premium-level luxury cars. 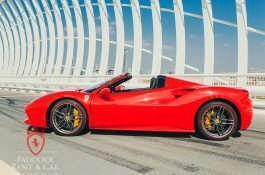 It is one automaker that has been in the game long enough to know the kind of race-inspired machines that deliver exhilarating experiences. 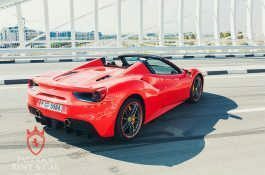 Now, the Ferrari 488 Spider is certainly one of them. 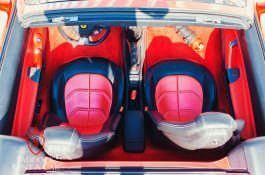 It is the latest version of the spider architecture which is developed around the HT (Retractable Hard Top) but with some tweaks. 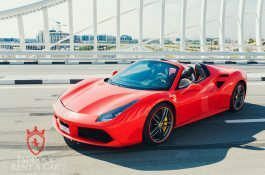 A lot of technology has also been inculcated into this new design and the result is a convertible sports car in love with racing. Talking of racing, its cockpit has been designed in the standards similar to those of pro racing drivers. 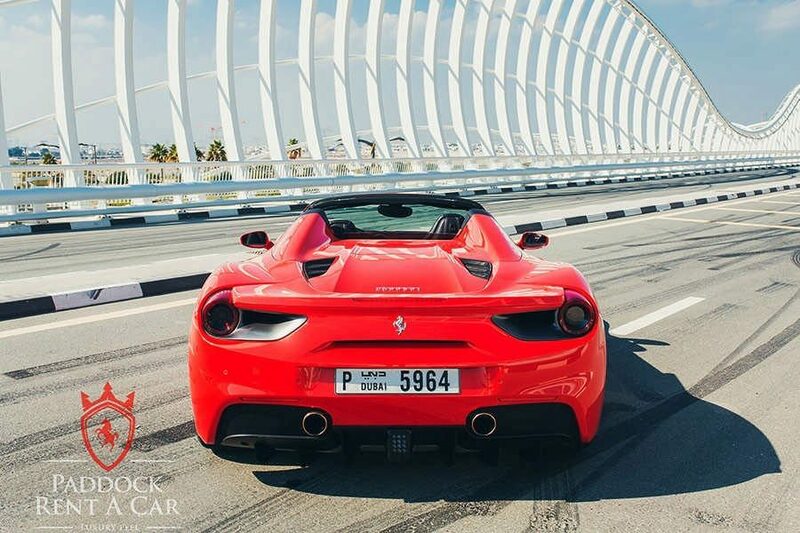 The design meant to reduce driver movements in a way that lets you focus on what matters the most. 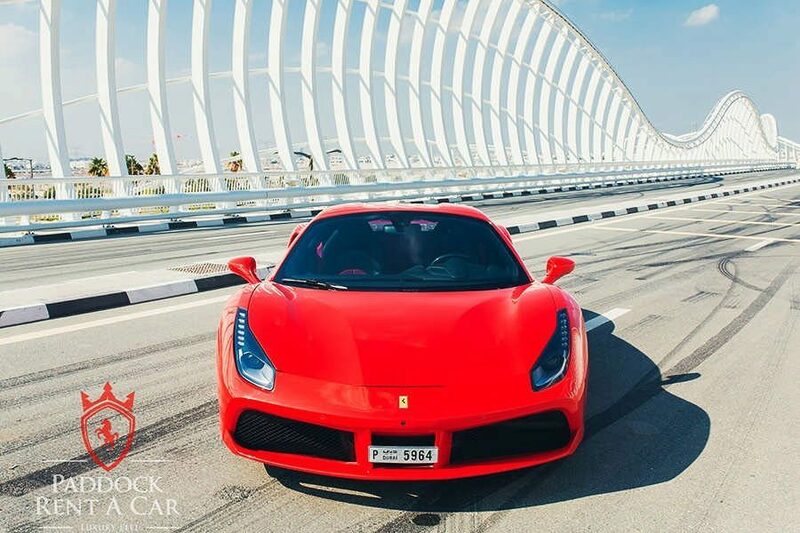 Hitting the road at adrenaline-pumping speeds! 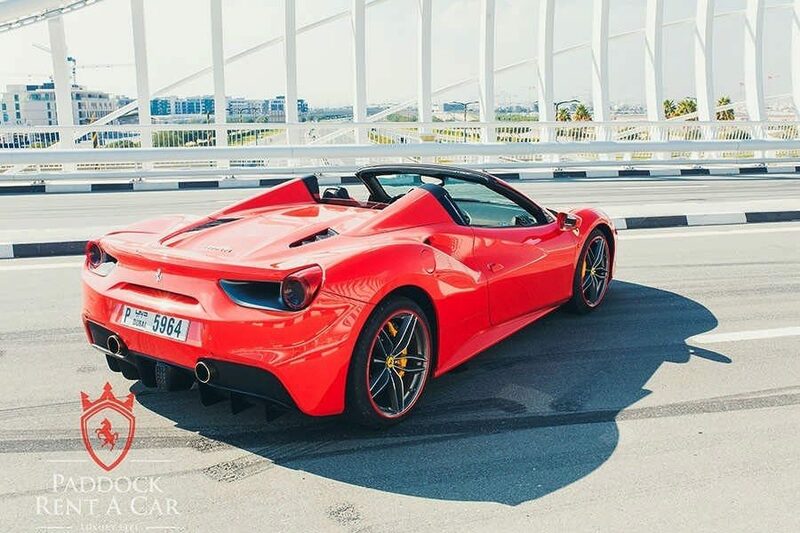 The Ferrari 488 Spider retains the cog of Ferrari’s design including placing more attention on the performance. 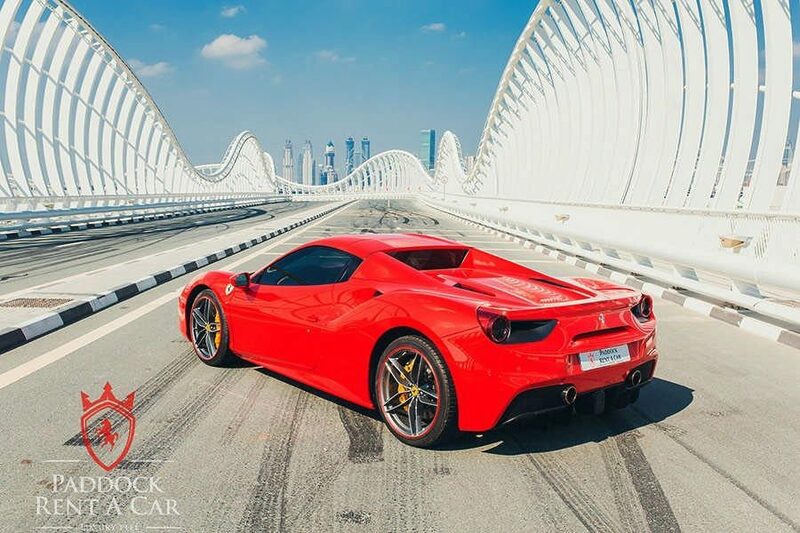 At the heart of this is a 3902cc turbo-charged V8 that delivers the power capable of accelerating this car from 0 to 60 mph in 3 seconds. 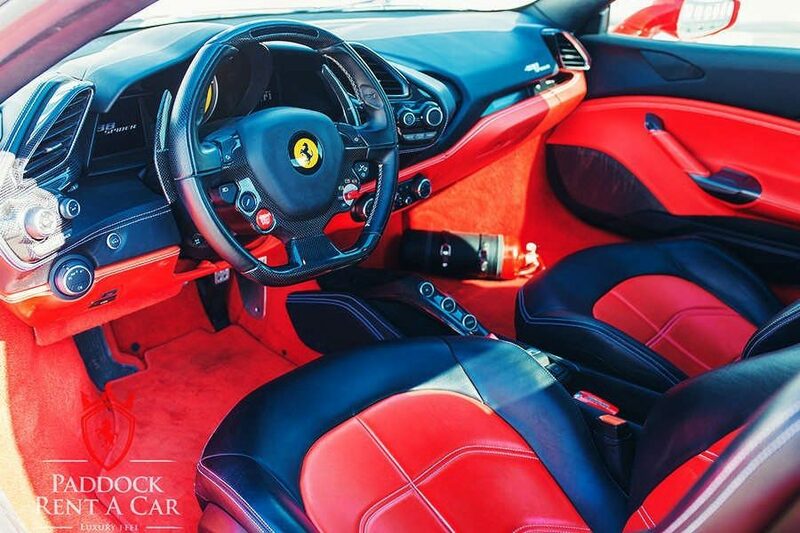 Inside a Ferrari, you are ready to take even the most challenging roads. 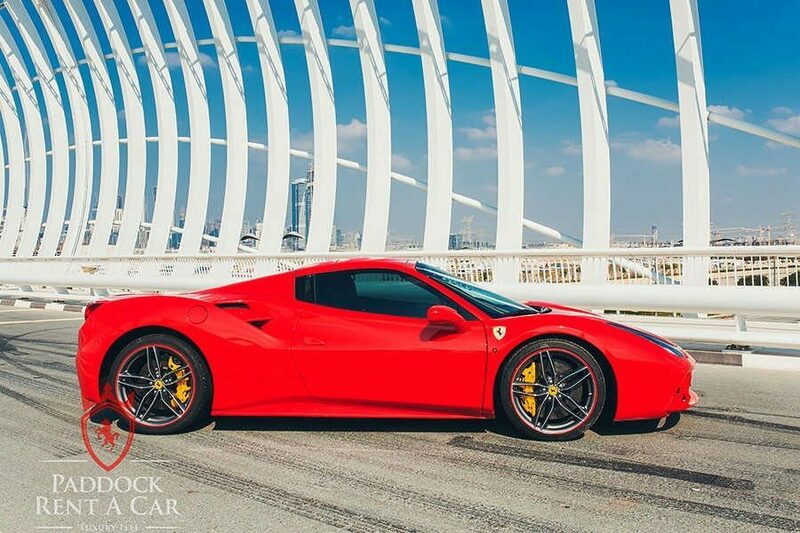 Put the foot on the gas, and your heart literally stands stills. 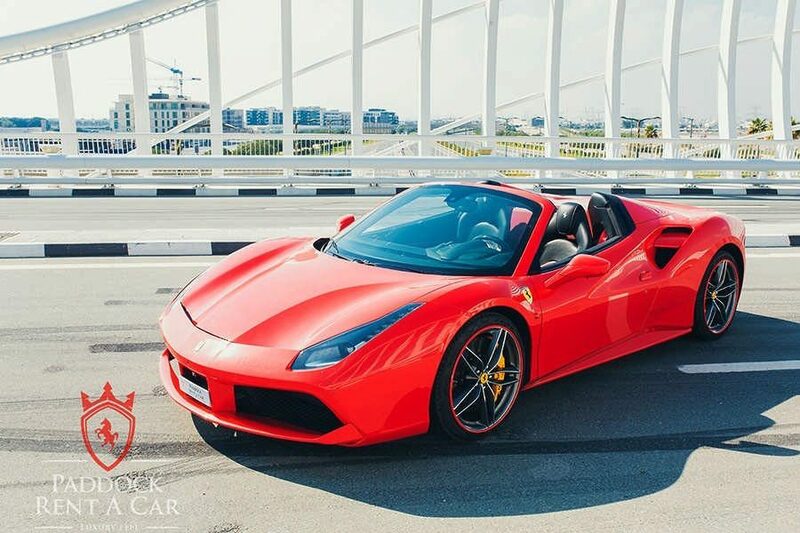 It is an experience to salivate for and that’s what we are here for. 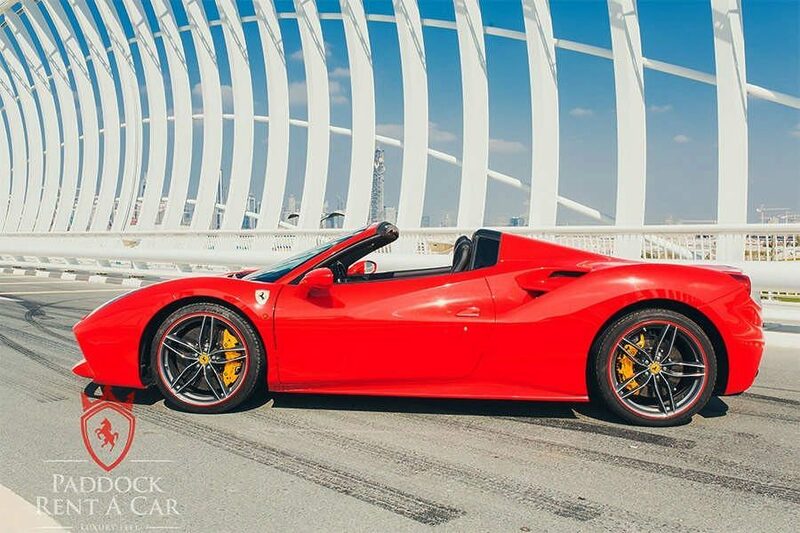 At Paddock Rent a Car, we love giving our customers experiences in some of the best cars including a Ferrari 488 Spider for rent in Dubai. 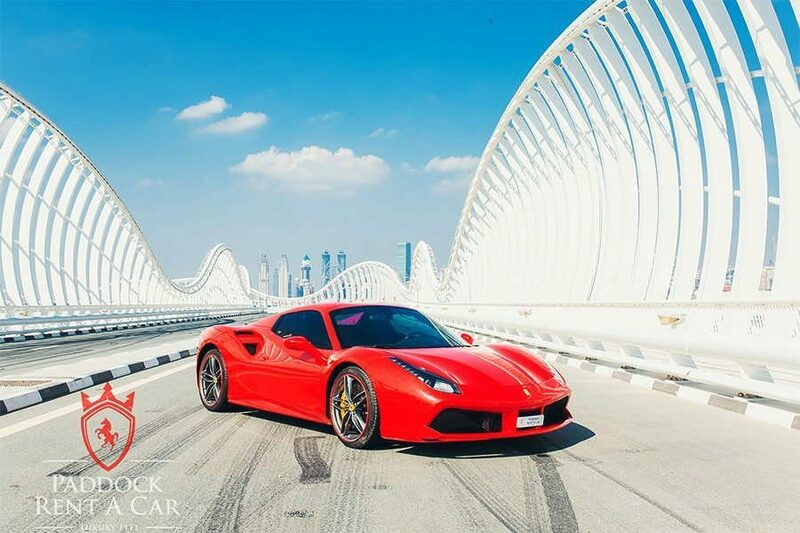 This isn’t just any sports car rental in Dubai. We care about putting a smile on your face through proper customer services and low price flexible rent a car service UAE. 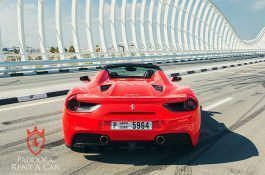 Can’t wait to experience Dubai in a Ferrari? 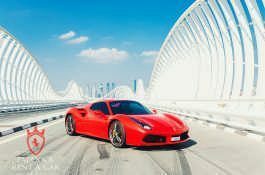 Talk our support to book or inquire about our Ferrari 488 Spider rental in Dubai and other amazing car rental deals on offer.